Metropolitan Council Chair Alene Tchourumoff is sending would-be builders of the Southwest Corridor light rail project back to the drawing board after rejecting all four bids to build the 14.5-mile project between Minneapolis and Eden Prairie. Met Council officials said the four bids were too high, although, by law, the transit agency can't disclose its own construction cost estimate. "In addition to price, there were also responsiveness issues. So for a bid to be responsive or non-responsive, it means they did not meet all of the requirements of the bid documents," Tchourumoff said. The total project cost is expected to run $1.8 billion, including rolling stock, land acquisition and all other non-construction aspects of the project. The actual construction bids came in around half that figure. But at $797 million, the lowest proposal still took up too much of the project's available funding, officials said. The rejection will delay the project's expected opening for paying passengers by four months, pushing the expected date into 2022, according to a council spokesperson. The Met Council will put the project back out for bid in October. The bids will be due in December and are proposed to be awarded in March of next year. "We must look closely at ways to modify the specifications for these bids in a way that will reduce project costs where possible," Tchourumoff said. "Working together with Hennepin County, I think we can bring innovative cost reduction strategies to the table and ultimately find efficiencies in this procurement. We're going to be sharpening our pencils, and we encourage the contractors to do the same." The full council is expected to discuss the recommendation on Wednesday, and vote on the rejection Sept. 20. The rejection came in consultation with Hennepin County, which is the local partner and funder in the project. 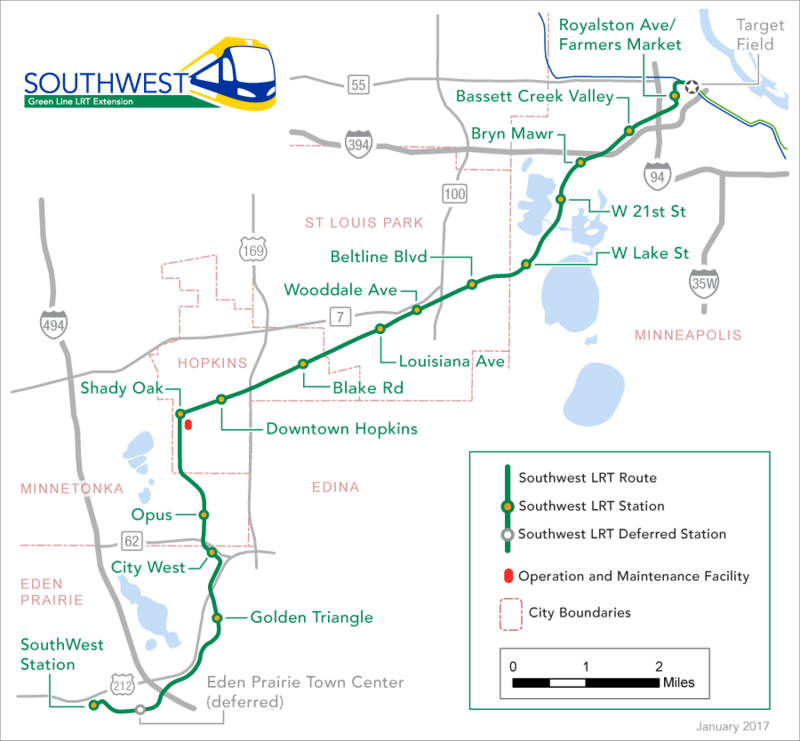 Southwest light rail will be the biggest public works project ever in Minnesota. It has undergone years of legal and financial challenges, as well as sharp confrontations with GOP legislators at the Capitol earlier this year.